The biggest endorsement in the New Orleans Mayor’s race did not come from a local leader or organization; it came from the nation’s most powerful politician, President Barack Obama. The endorsement is unusual for it is rare for a U.S. President to intervene in a New Orleans Mayor’s race. While the Mayor touted the powerful endorsement, it likely was given due to national political implications. The President is helping Democrats try to maintain majority control of the U.S. Senate. The Mayor’s sister, U.S. Senator Mary Landrieu, faces the voters this fall. She is very vulnerable and is the only Democrat statewide elected official. If her brother loses the Mayor’s race, it will not bode will for Senator Landrieu to retain her seat in November. The President’s endorsement was met with anger by some local citizens, who organized a White House phone calling campaign to register their disapproval with the decision to intervene in the race. It may have motivated a much different decision from the Orleans Parish Democratic Party Executive Committee. The local party leaders endorsed Judge Michael Bagneris, delivering a stinging rebuke to the Mayor, a staunch and loyal Democrat. As a well connected African American politician with 20 years of judicial experience, Bagneris could do very well in the upcoming election. He is very close to the Morial family, one of the most powerful political dynasties in New Orleans. In fact, he served as executive counsel in the Dutch Morial administration, the city’s first African American Mayor. Currently, the New Orleans electorate is about 61 percent African American, but many of the top elected positions in New Orleans are held by whites. There is a strong desire among many African Americans to elect fellow African Americans to the top positions in the city, such as Mayor of New Orleans. This sentiment may very well help Bagneris garner a majority of African American votes in the upcoming election. While Mitch Landrieu has the endorsement of prominent African American pastors and the most powerful African American politician in the country, Barack Obama, there is a feeling among some voters that he has not done enough for the black community in New Orleans. 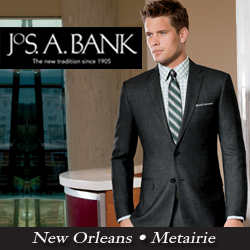 Currently, only 53% of African Americans are employed in New Orleans. While the economy has improved somewhat, it is still very bleak for thousands of black citizens in New Orleans. During the campaign, Bagneris has been pounding certain key issues. If elected, Bagneris pledges to eliminate Landrieu’s expensive deputy mayor system and says he will bring in new leadership for the Police Department. While the murder rate has dropped, the city’s overall crime rate is still high, there are scores of broken street lights, potholes littering the roadways, and certain areas of the city, such as the Lower Ninth Ward, which are still largely uninhabited. Bagneris is also campaigning on a pledge of bringing the city together. He claims that the Mayor is divisive and has alienated many groups of people. During his term, Landrieu has upset city workers such as firefighters and groups such as taxicab drivers and board members of the Wisner Fund. It is possible that these disaffected groups, along with a majority of African American voters will cast their ballot for Bagneris. In addition, one other dynamic needs to be considered, namely, the effect of Obama’s endorsement on the white vote. The President is especially unpopular among white Republicans, who comprise about 27% of the white vote in New Orleans. Obama’s endorsement of Landrieu may lead many New Orleans Republicans to vote for Bagneris, rebuking the President and damaging the re-election chances of Senator Mary Landrieu in the process. On Election Day, if Bagneris can attract 60 percent of the African American vote and one quarter of the white vote, he wins. The Mayor’s endorsement from Barack Obama may have just given the challenger the roadmap to victory that he needed.